Ohm beads is growing fast as a brand and is now establishing itself in Italy! 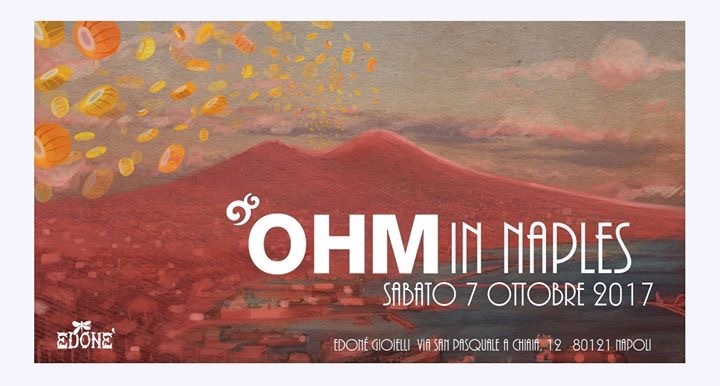 Earlier this year Ohm organized the event Ohm in Rome which saw the launch of the Italy collection. These beads are special editions only available in Italy. 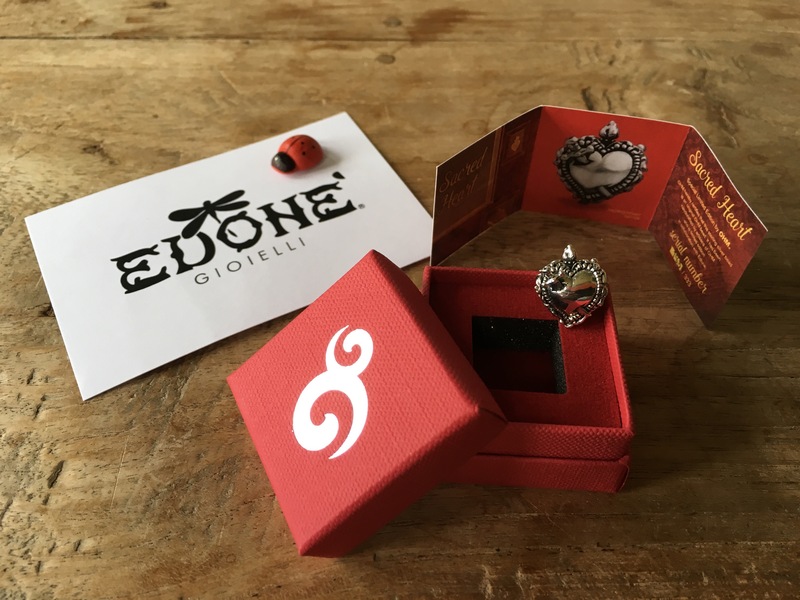 And earlier this month was the event Ohm in Naples at jeweller Edone Gioielli. 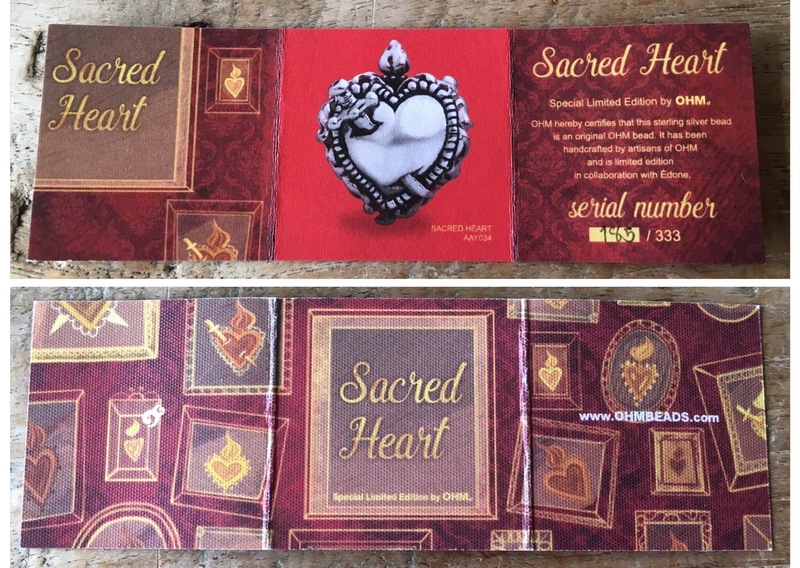 Especially for this event Edone Gioielli designed an event bead in cooperation with Ohm beads: Sacred Heart. The Sacred Heart is an very iconic mainly Roman Catholic symbol and represents the love and compassion through suffering of Jesus for mankind. It’s a flaming heart, shining with divine light, pierced by a sword and encircled by the crown of thorns. Shown here from different angles, it’s so very detailed. 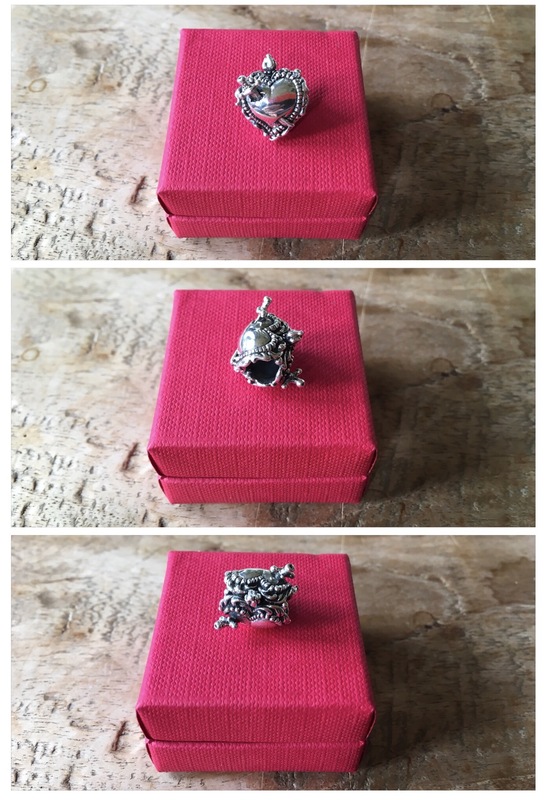 It comes in a flaming red box with silver Ohm beads logo. 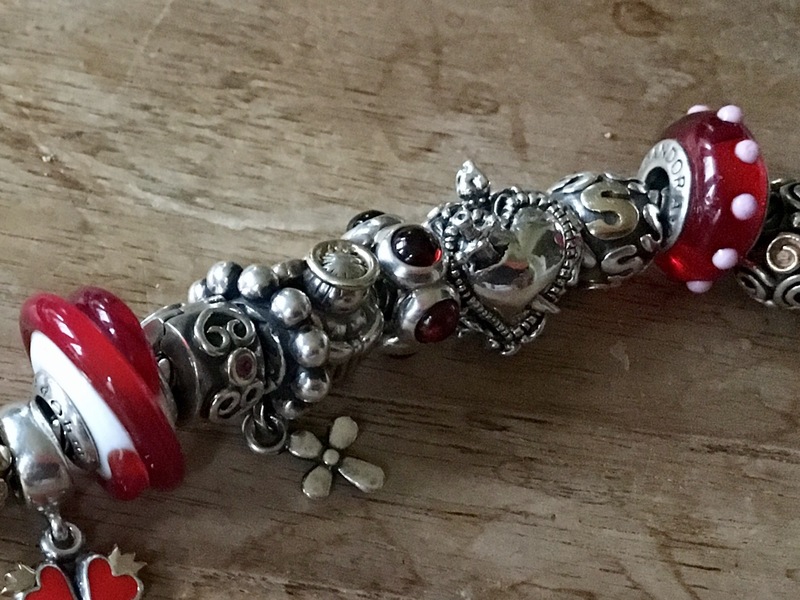 The bead is a limited edition, only 333 are made. It comes with a numbered certificate, the corresponding number is engraved in the bead. This is number 185. I have a Roman Catholic upbringing but no longer practice. But I am very intrigued by the Catholic mystic, centuries of traditions and customs and have a fascination for the Virgin Mother Mary. 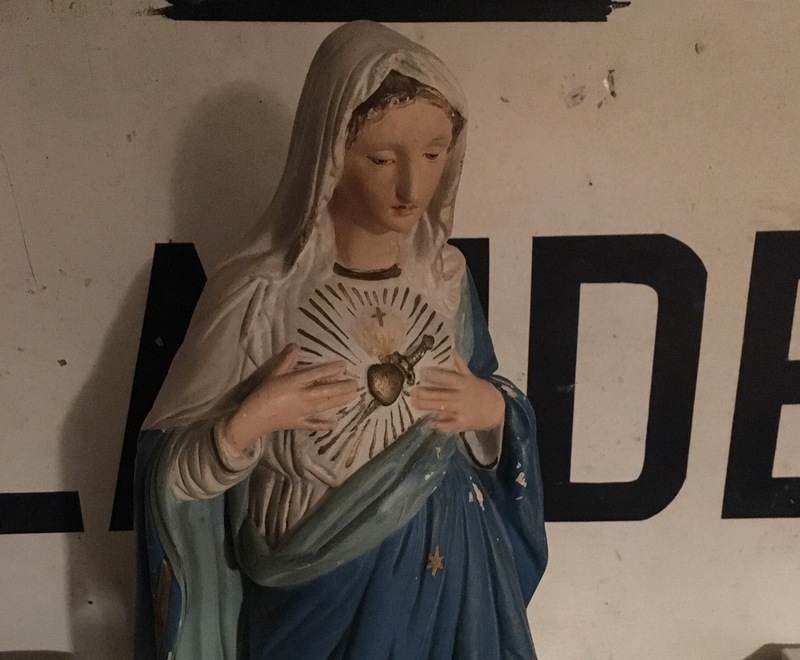 This is my Sacred Heart statue that I have that may have come from a church. So I was very happy when I got the chance to order this bead. I wanted to add this to my family Hearts & Angels bracelet. 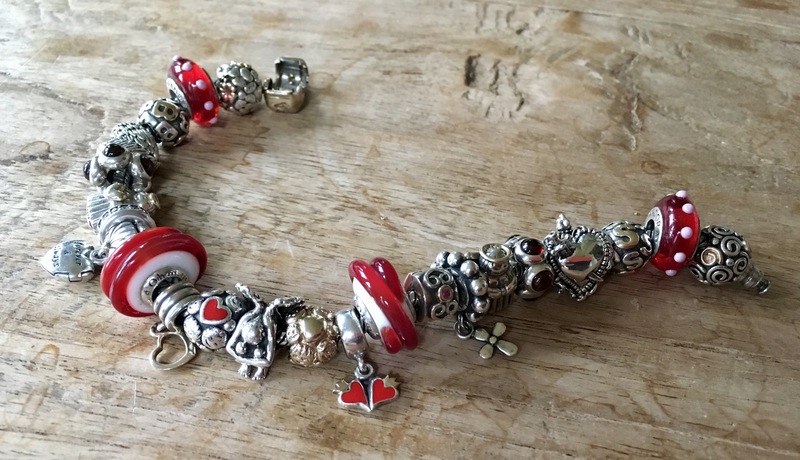 This is my most beloved bracelet, it’s all about my family and has a very special bead. The heart dangle on the left contains some of my brothers ashes, he passed away two years ago. I have reviewed this bracelet in an earlier blogpost called Angels (and Demons). 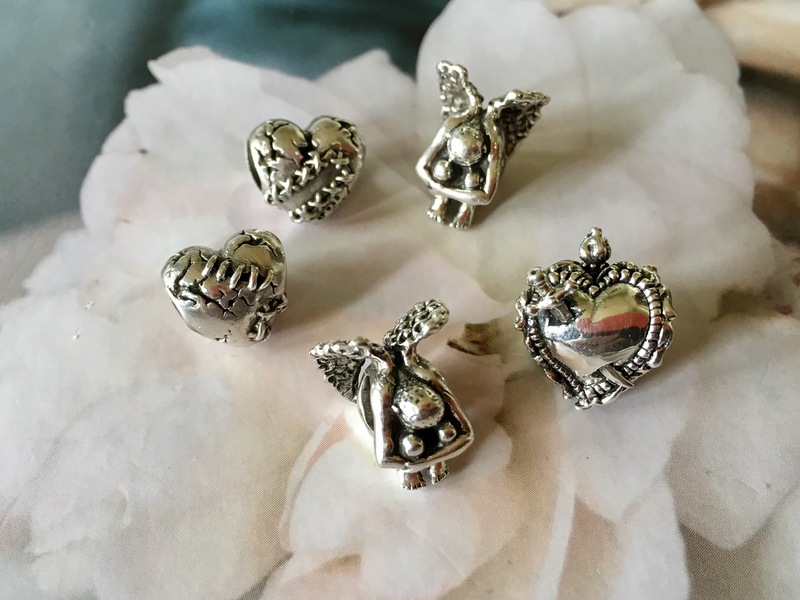 I love how Sacred Heart goes with the Ohm beads and Pandora angels and Trollbeads Rosary, a very iconic Catholic artifact. 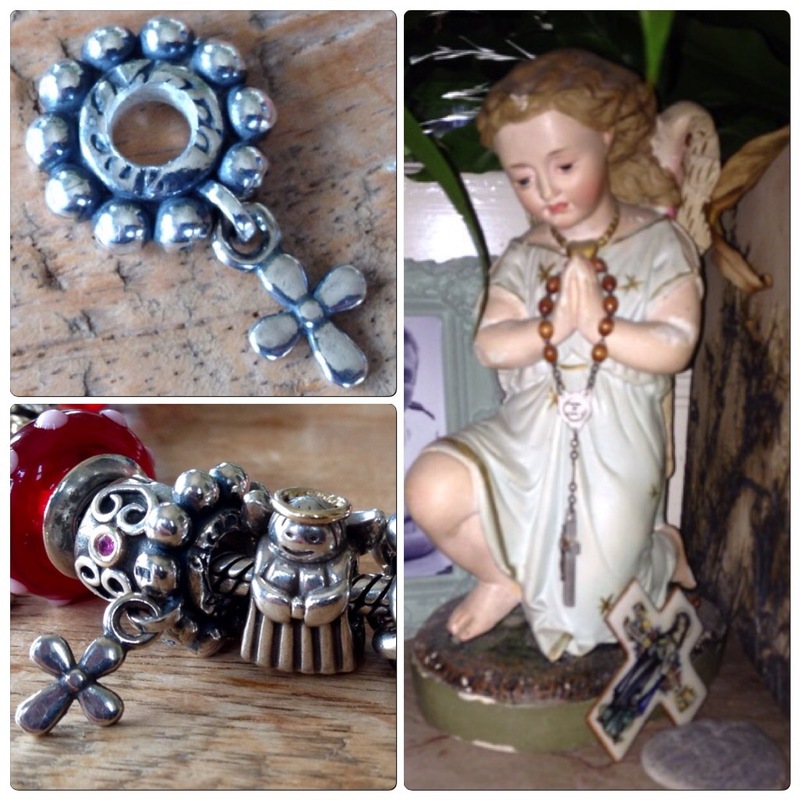 I have this little angel on my mantle holding a small rosary. This really represents my spirituality and gives me so much comfort during hard times. 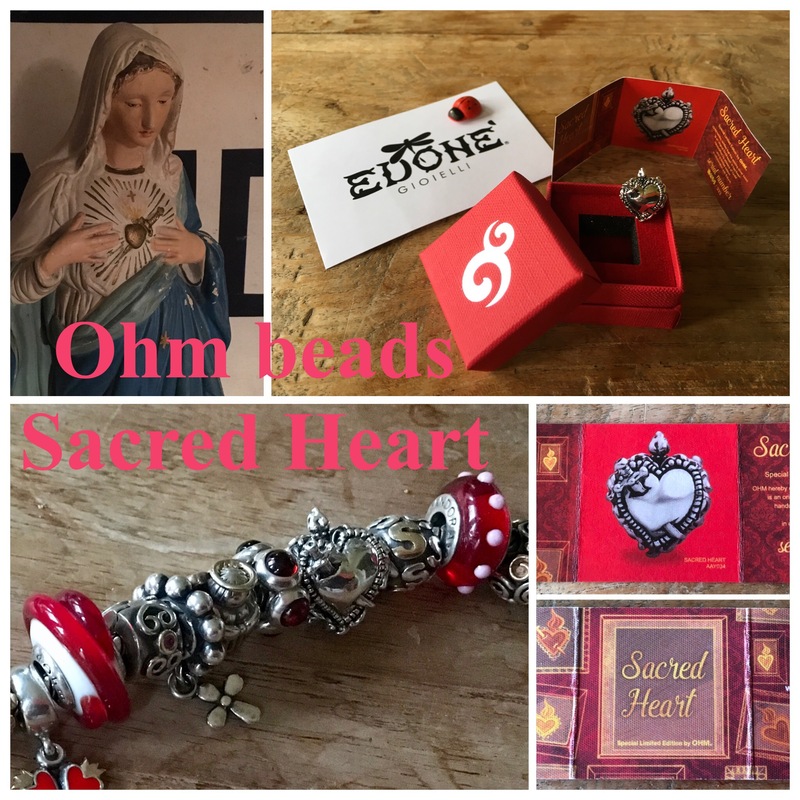 After Love Hurts made me fall in love with Ohm beads and OhmMyGod moved me to tears, Sacred Heart once again touched my heart! Unbelievable design and craftsmanship! Thank you Ohm beads, Giovanna Giannotti and Edone Gioielli! 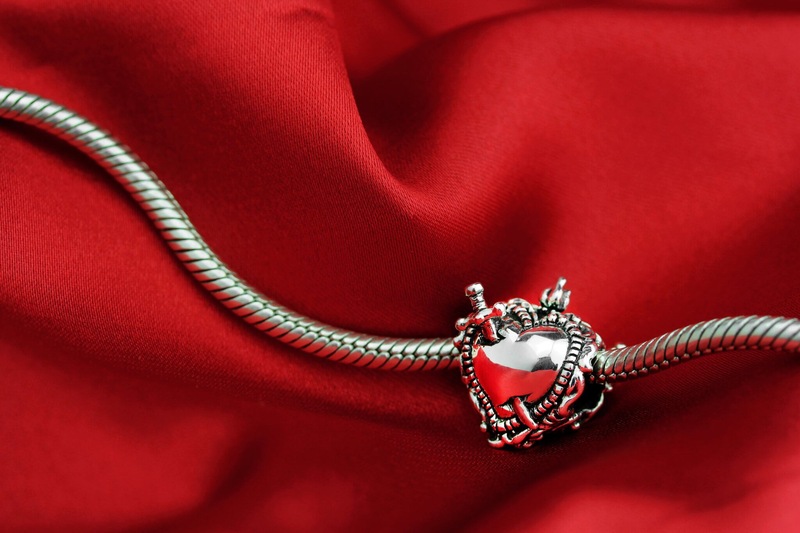 I love your very special bracelet and I agree that the scared heart fits right in perfectly.